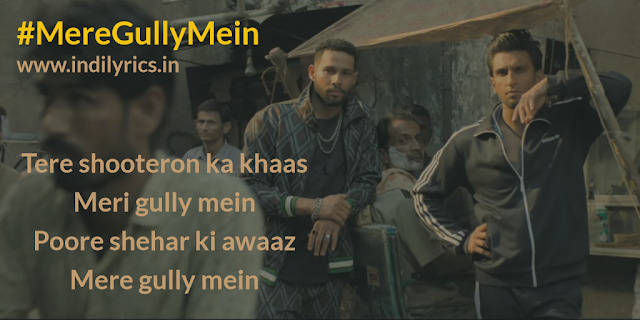 Mere Gully Mein Full Song Lyrics with English Translation and Real Meaning Explanation from upcoming Bollywood movie Gully Boy, The groovy rap song is composed by DIVINE, Naezy & Sez on the beat, Naezy & DIVINE penned the lyrics, Ranveer Singh, DIVINE & Naezy sang this song. The music is available on Zee Music. Where are you right now? Where are you? I’m at this Bombay Sataraa, where are you? Chhote chhote lekin zara dekho..
What are the roles you’d fine in my streets? All kinds of wrong stuffs?